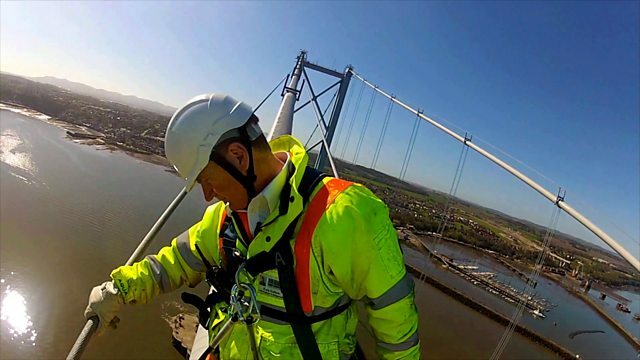 Bridgemaster Barry Colford and a colleague tackle a regular high-wire inspection of the suspension cables at the Forth Road Bridge. The cables are at the heart of the bridge’s construction. “They are like a rope bridge over the Andes, but the ropes are made of steel,” says Barry.